Back in the days, we had a teacher we nicknamed "Rubbish". That was a bit unflattering and unfair, of course, but he earned that moniker because, at the drop of the hat, he would always exclaim, "Good riddance of bad rubbish!" He certainly felt and sounded clever when he said it. Just that, at times, we felt that he was over-applying himself. But it's true. No matter how bad the garbage may be, you must get rid of it in a good way. Doing so to the contrary is a bad thing. People may end up being forced to decide on who between you and the rubbish is the bad stuff. It's not clear what the substantive president, Emmerson Mnangagwa, is or is doing at the moment. He is away on official business and was recently forced to cut his annual leave short to manage a government doctors' strike that had left the health sector in turmoil. This must be the first time in the history of politics whereby you have a substantive president and an Acting President squeezed in one office at the same time. During Robert Mugabe's time, the Acting President was, by tradition and deed, a hollow place holder who couldn't make decisions. And when Mugabe returned to the office - of course he routinely extended his leave and never cut it short no matter what - the Acting President went back into the shell. Things have changed very fast in the post-coup period. Chiwenga is making decisions without having to worry about it. And he seems to have done that in the case of Zacc. You can't start doubting that Zacc is bad rubbish, of course. It's easier to count the number of stars in the night sky than the amount of cases that the commission has opened for investigation in almost a decade and a half. But there is hardly any case that it has handled that has secured a conviction. That is because of a whole gamut of reasons. The commission has comprised a big bunch of people - well, most of them - who just didn't have a clue why they were getting as much as $11 000 a month in allowances before Father Christmas retreated to the North Pole some time last year. Whabira, as the chairperson, just couldn't hold the mast straight. He had no authority over junior commissioners, some of who used their political connections and ended up calling the shots. For instance, there was this former nurse who was plucked from State House and ended up giving everyone the middle finger because she was connected to former first lady, Grace. Then you had commissioners who headed the investigations unit but, on all evidence, looked like the ones who needed to be investigated. They just couldn't tell if they were going or coming and didn't know how to spell the word "investigation". They ended up giving all manner of bad guidance and mentorship to junior investigators. Needless to say, their decisions were politically motivated and they were celebrated bribe takers. Add to that the existence of a shady intelligence unit at Zacc. This unit comprises former and serving state and military intelligence gooks who think that investigating corruption is the same thing as probing perceived political enemies. This unit has lots of influence on mainstream investigations at the commission. You, therefore, don't get surprised that most of the cases that Zacc dealt with were political. The net effect is that the cases flowed into the sewer because there was no professionalism nor requisite expertise to manage alleged instances of corruption. Of course, there are many other grey areas at the commission. That says the commission is bad rubbish that you can't even use as manure. The problem, though, is that the executive has just handled the bad rubbish in a bad way. 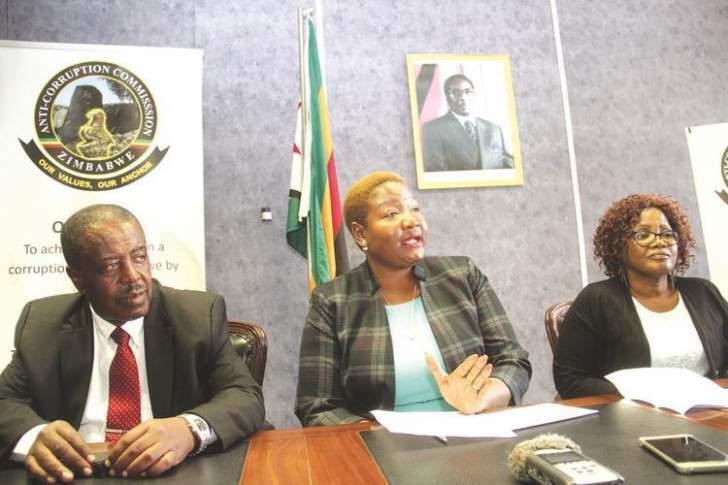 It was always going to throw a stench that commissioners started resigning the moment they got out of a tense meeting with the acting president. Frankly, they are not resigning willingly. This is a sensible suspicion. A good number of people don't think Vice-President Chiwenga is the nicest politician around. Remember, he fired nurses summarily when they protested poor working conditions last year. And, just recently, he called qualified doctors, students and threatened to fire them too for striking. He was a soldier from a tender age and it is difficult to bring such people out of the barracks. Mnangagwa seems to have confirmed this when he hastily jumped out of his annual leave to resolve the impasse between Chiwenga and the doctors. He had to dispatch his wife to handle the doctors and must have uneasily asked his hardline deputy to take a back seat on the matter. culture in Zimbabwe, just as it is in the rest of Africa. Those that can influence the investigation of corrupt people, particularly powerful ones, have a big opportunity to determine the flow of political power. It is a fact that there are backroom power struggles within Zanu-PF. So, if you can then have access to and influence over those that investigate corruption, you stand a good chance to make the kings. If it is true that Chiwenga has presidential ambitions, he would naturally want to control Zacc. This is because he knows that his rivals within Zanu-PF are a dirty lot too. It would then be easier to at least muddy his competitors by setting the Zacc hounds on them, precisely because he would be in control of the investigating structures. It's also not clear how Mnangagwa would react to this latest development once firmly back in the office. We have heard of how he reversed some decisions that Chiwenga made just after the coup and it's possible that the same can happen again if the president decides to take offence at what his deputy did.